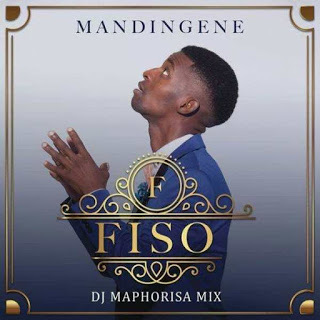 Gospel singer, Fiso has now commissioned the remix of his smash hit single titled “Mandingene.” On this one, he scores the feature of the celebrated DJ Maphorisa. Fiso had already dropped the Gospel song and also recently released the music video in a bid to extend the lifespan of a deep and powerful song. Signed to Sound African Recordings, a division of Sony Music Entertainment Africa, Fiso definitely does hold some unique and distinct vocal abilities. However, his love and appreciation for the Almighty makes him one for the Praise and Worship melodies and“Mandingene” is no different. Only thing is with the special touch of DJ Maphorisa, “Mandingene” is now expected to appeal to a wider audience and we wouldn’t be surprised if it goes on to dominate the trends.